She has been an active member of California Escrow Association, American Escrow Association, and East San Gabriel Valley Escrow Association. She has also been helping, promote new Real Estate agents increase their knowledge regarding the escrow process. Currently, she serves as the Director of the California American Real Estate Professional Association, and also serves as the director of the Hong Kong Schools Alumni Federation. Established in 1992, Sincere Escrow has a staff of experienced Escrow Officers who are prepared to assist you in all your escrow needs. Founded by an already well experienced escrow agent and a management professional with engineering background, Sincere Escrow has built its foundations upon efficiency, promptness, and of course --- sincerity. Margaret's many hobbies include Chinese painting, singing, dancing (especially Latin dance), going to concerts and crafts. She is not an athlete herself but she enjoys watching tennis tournaments, NBA basketball, ice-skating, and many many more. When she was younger, she wanted to be an interior designer. Well, maybe she will still find time to become one. 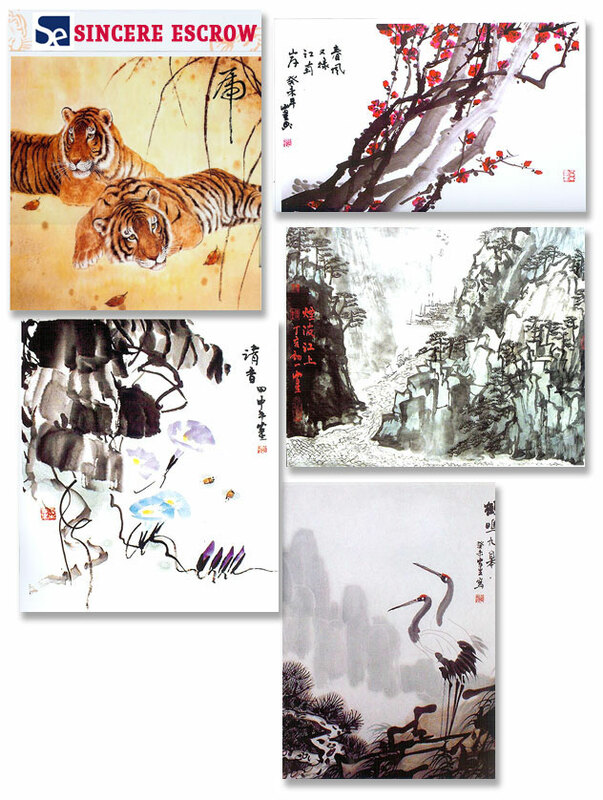 Sincere Escrow is proud to present the works of one of their own --- Margaret Chiu, an accomplished Chinese painter. Margaret has been in the real estate industry with her husband for several years but few realize her deep appreciation for Chinese painting. Taking her brushes and inks away from the businesss world, she taught herself the nuances of this ancient tradition. Since then Sincere Escrow has published limited editions of Margaret's incredible paintings which we are offering to the public for free as long as supplies are available (limit one per household).